Enough Bluffing the People … Who Benefits from Terrorism?! Since the first minutes from the bombing operation on Monday, which targeted the security patrol in the center of the capital, and before waiting for any investigation to find out its motives and who is behind it, a battalion of media personnel and those who make a living out of politics engaged in cheap exploitation of this incident and used it to fight Islam, and in inciting the government and its organs against everything related to Islam, like Qur’anic schools and Kuttab (special Quran schools). 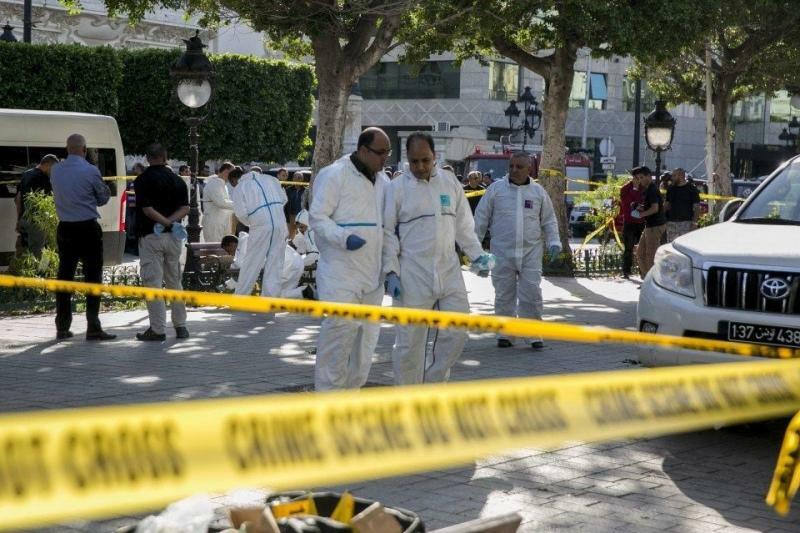 We in Hizb ut Tahrir / Wilayah of Tunisia have warned our people in Tunisia, since the start of this series of criminal acts, that are timed with the heated political situation, which is meant to be an antidote to the rulers’ failure, or to achieve despicable political and partisan maneuvers. We expose once again the frantic activity and the use of these events cheaply in politics, to create an atmosphere towards increasing the security grip on the country and the people and not to harm the deep state, which is drowning in corruption and dependence. And therefore we warn of the failed and incompetent politicians who cannot provide any alternative to address the problems of the people. And all that is left for them is to make a living out of politics by fighting Islam and its people, and taking criminal acts as a means to do so, and we confirm that the day of reckoning is near, because the blood of Muslims in the military, security and the innocent (civilians) will not go to waste, because: «لَزَوَالُ الدُّنْيَا أَهْوَنُ عَلَى اللَّهِ مِنْ قَتْلِ رَجُلٍ مُسْلِمٍ» “The extinction of the whole world is less significant before Allah than killing a Muslim man” [Tirmithi].